It’s back! Are you having a Cracking Christmas at the Park Centre? 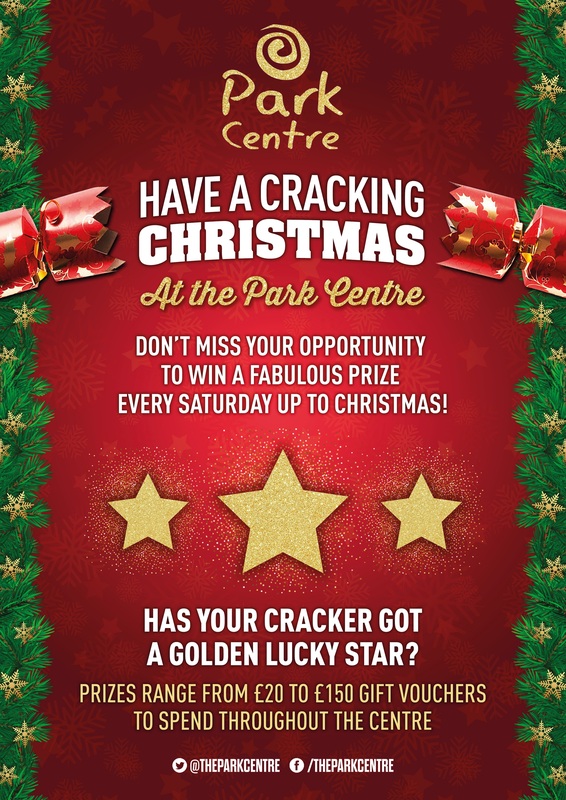 Make sure you visit the Park Centre every Saturday in the run up to Christmas as your cracker could have a golden lucky star with a prize ranging from £20 to £150! Late night opening Monday to Friday and don’t forget Santa’s Grotto is FREE! That includes a visit with Santa Claus, free selection box and free car parking!